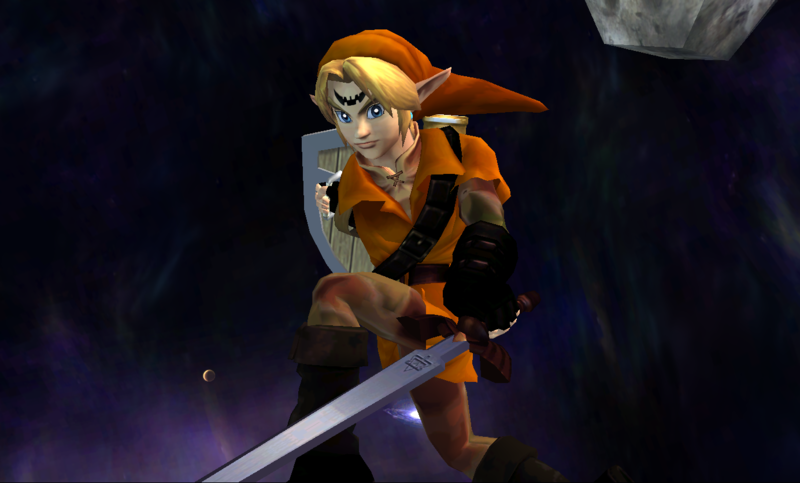 True Smash Ultimate Link(Rimlit+Model edit) by DjAwesome- with credit to Naji Kanuyo (For Botw Link Model), Shy (Originated Model). Hey guys, it's me YET AGAIN! 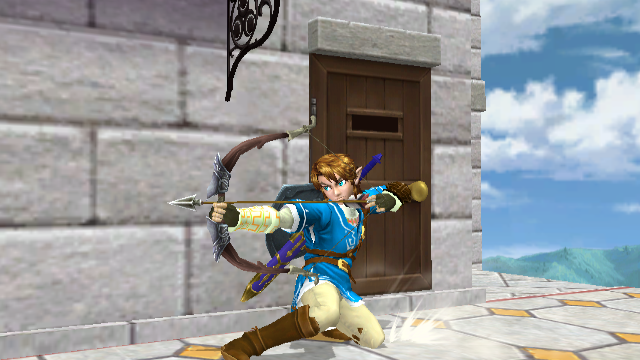 And today here is a 'true' BOTW (Smash Ultimate ) Link. The original model/textures were simply not enough for me so I edited the hair, added Rim Lighting, and overall overhauled (no pun intended) the model itself THUS this was born!! (btw the model's hair in the brawl box model viewer may seem white/bleached, but it is just caused by the shaders (rim-lights) used,but isn't shown like that in-game. Also there are no recolors included , if you want to create any be my guest, but make sure to provide credit. 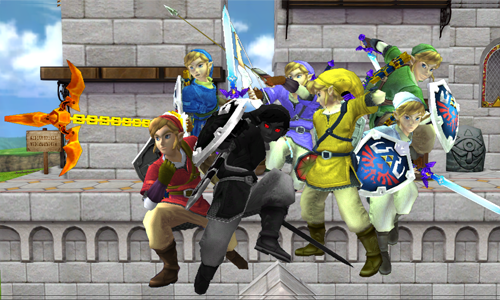 Tested with project M.
This is more like an expansion of my Hero's Shade Gear Link. 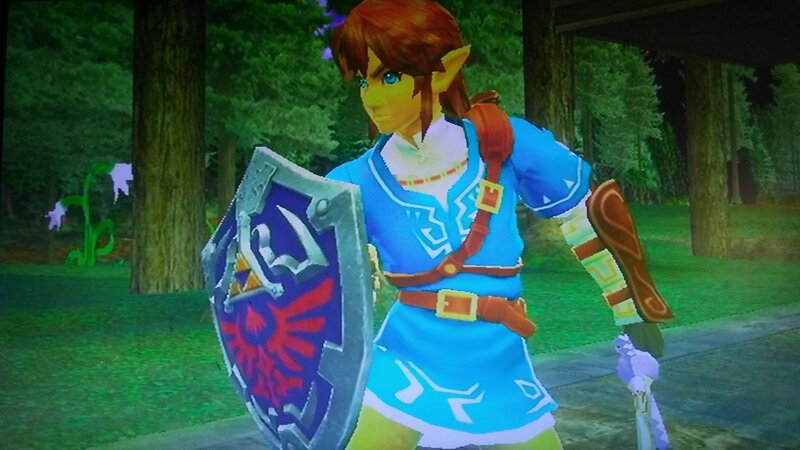 Now Link comes equipped with his Shade armor. 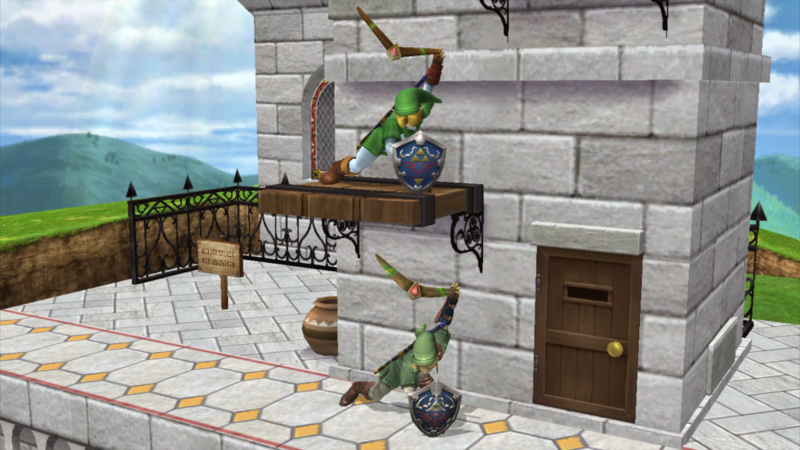 Think of this like the Hero of Time after MM, but before TP. 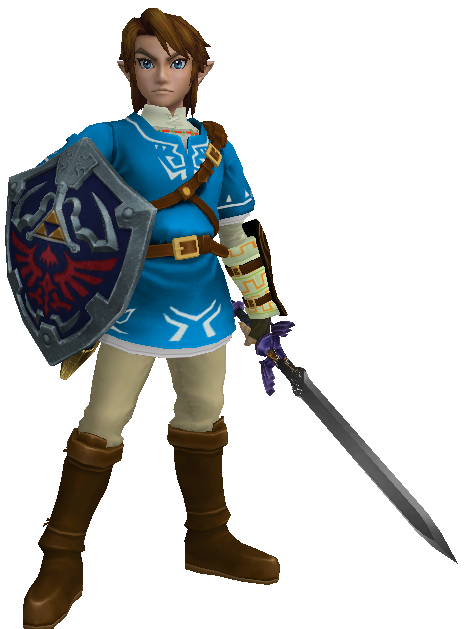 Breath of the Wild Dark Link Outfit (Fixed) by KorytheMaril, Moe with credit to The Project M Dev Team for the original costume. IF YOU DOWNLOADED LAST NIGHT, DOWNLOAD AGAIN! 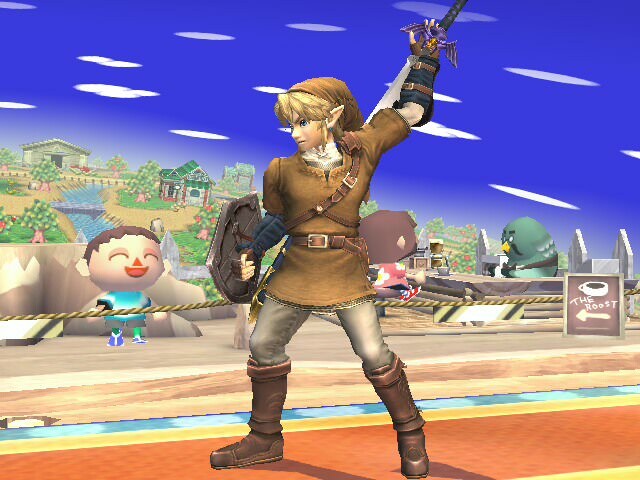 A costume for fun, it's the Dark Link outfit from Breath of the Wild! 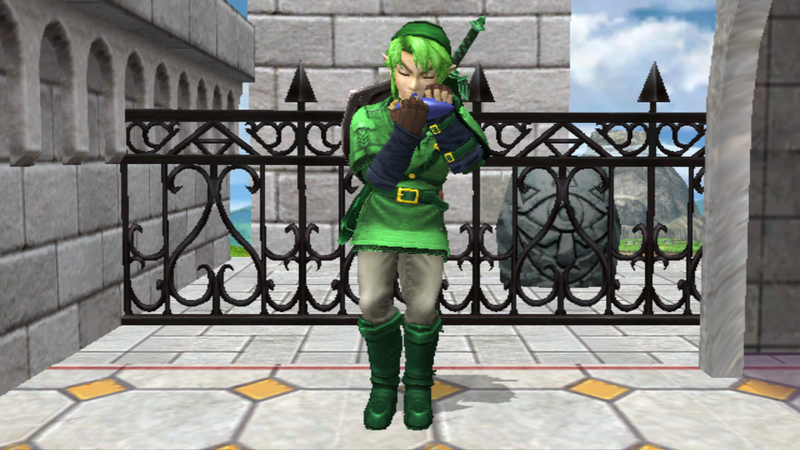 I've only played an hour of this game, but I absolutely love the calming, cool colors of this outfit. 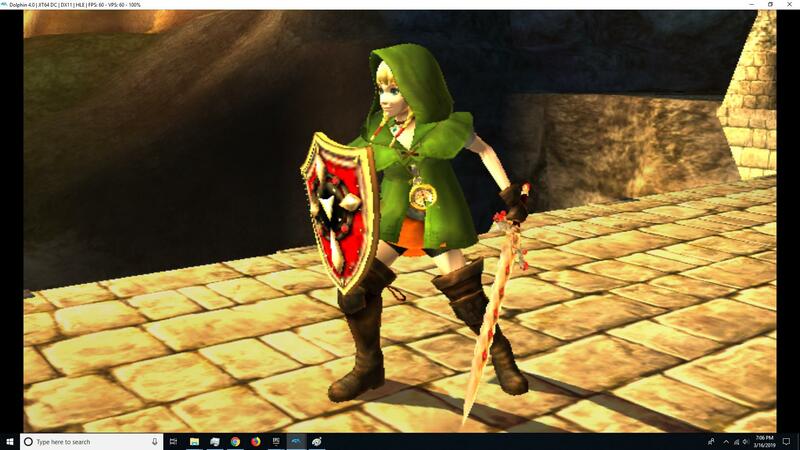 Given the original outfit is (oddly) just OoT Link recolored, this works out! 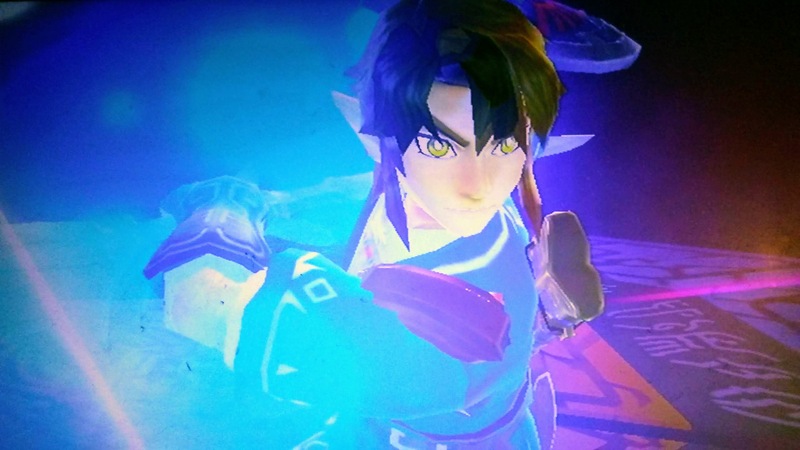 The only disappointment I have is just that I didn't add the glow around the eyes, just had the eyes glow, just like my old Black Paint Bowser skin. 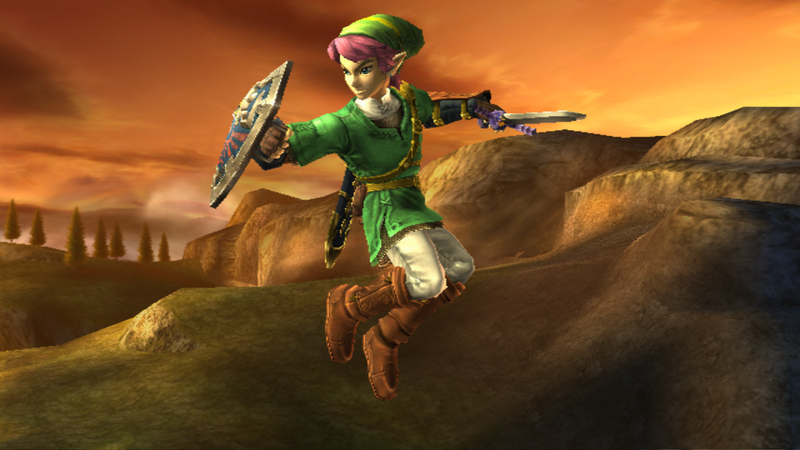 Another suggestion from Elliot brings forth another costume specific project. 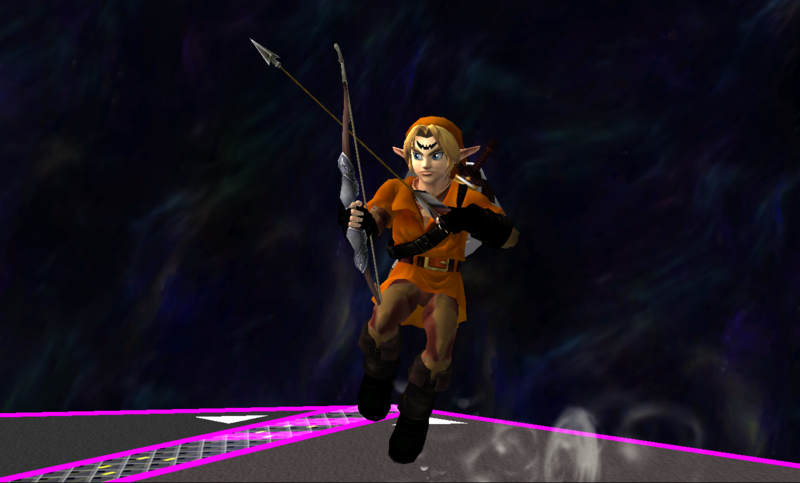 This time, it's Link, with Brawl-styled OoT Articles (Boomerang, Bow, Arrow, and Hookshot) for. 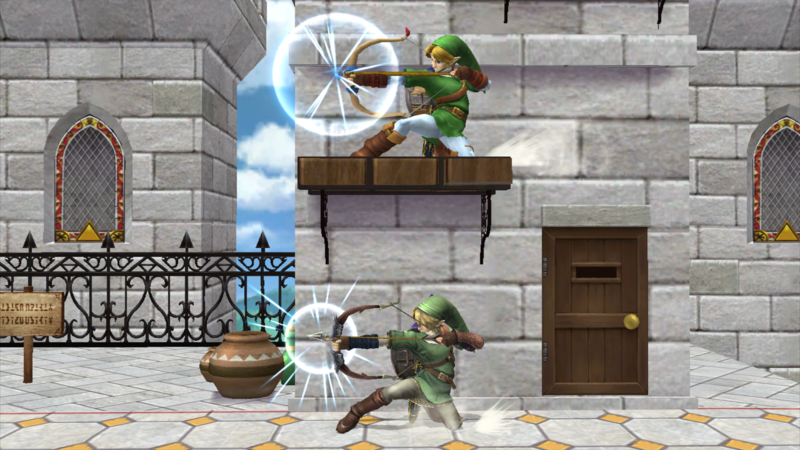 This means there's only two versions this time (Project M and Legacy TE), as vBrawl lacks these alternate costumes. 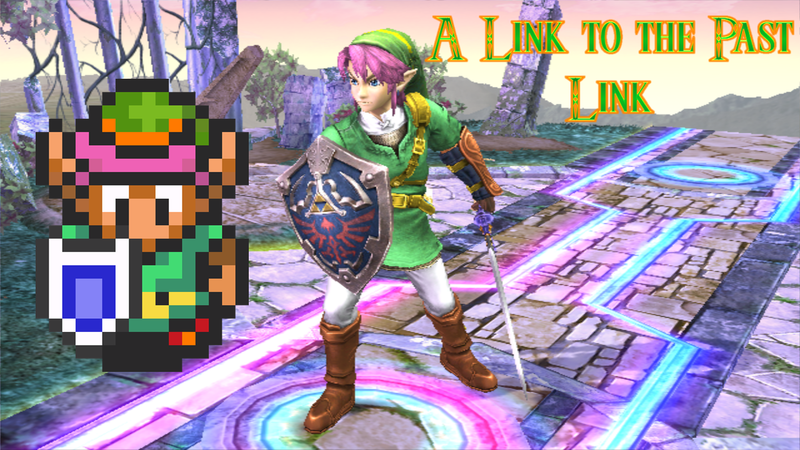 Additionally, I was unfortunately unable to implement Great Maze Dark versions of Link's Articles due to file size limitations. 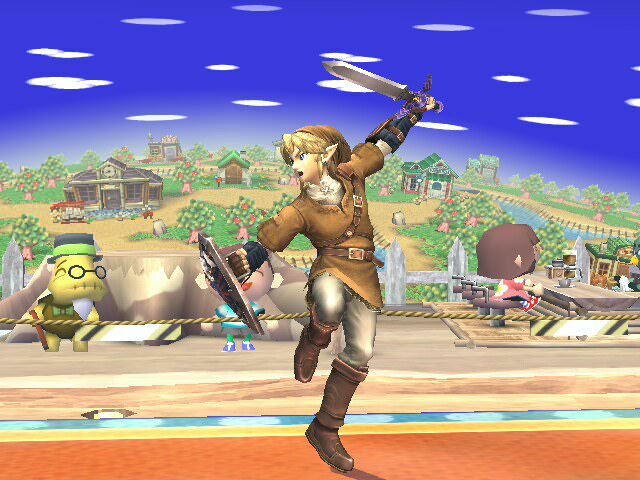 I'm the Hero of the Past! 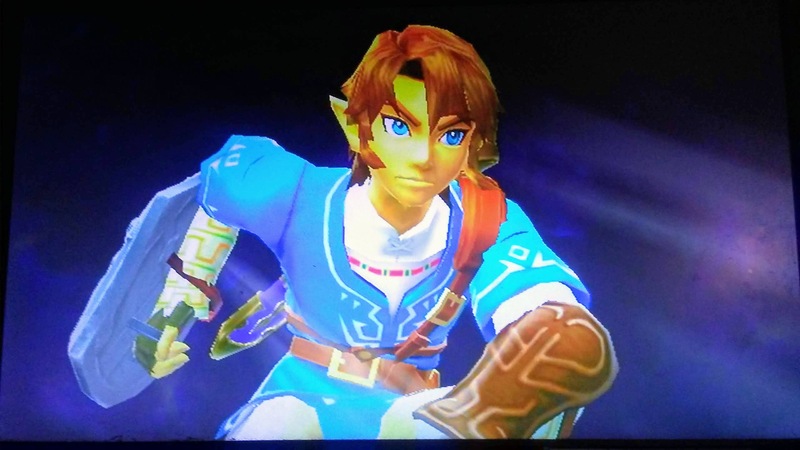 I played Zelda: A Link to the Past when I was 13 in 2008, 14 in 2009 and 16 in 2011 and is defeating Hyrule's enemies, as soldiers and knights to save Princess Zelda in the castle, and thanks to a recolor that based on the appearance of Link in ALTTP. 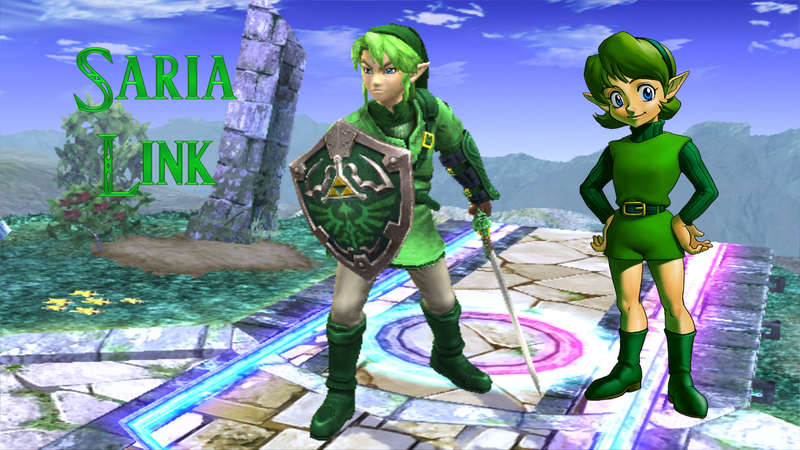 This is a recolor of Link based on Saria, a character in Ocarina of Time as the Guardian of the Kokiri Forest, protector of the Ocarina and Young Link's partner. Title says it all. read the text document that is included since that will help some of you out. 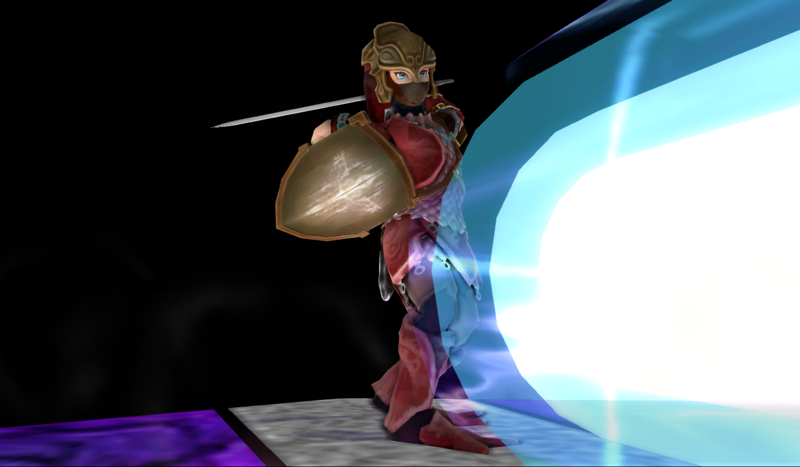 Only for Project M (LegacyTE and LegacyXP should work for this as well) Discord Server: https://discord.gg/DRfAEAT Update: sorry I didn't put the download link, I was really tired and rushed to get this out. This is resolved now. 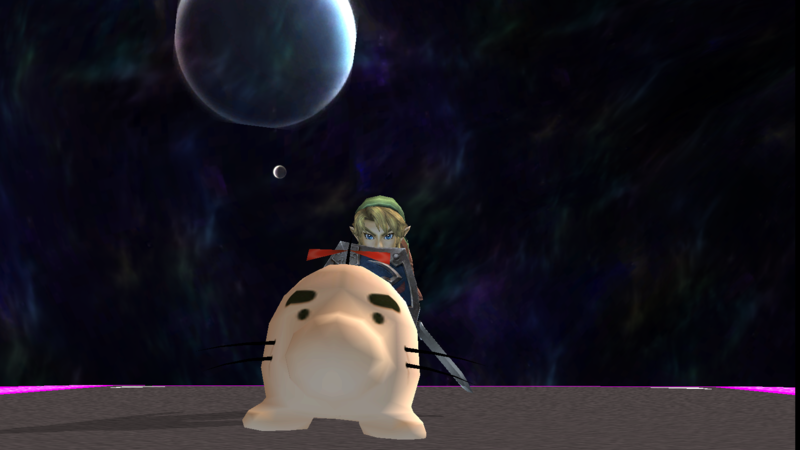 My first texture edit! I hope you all enjoy it! 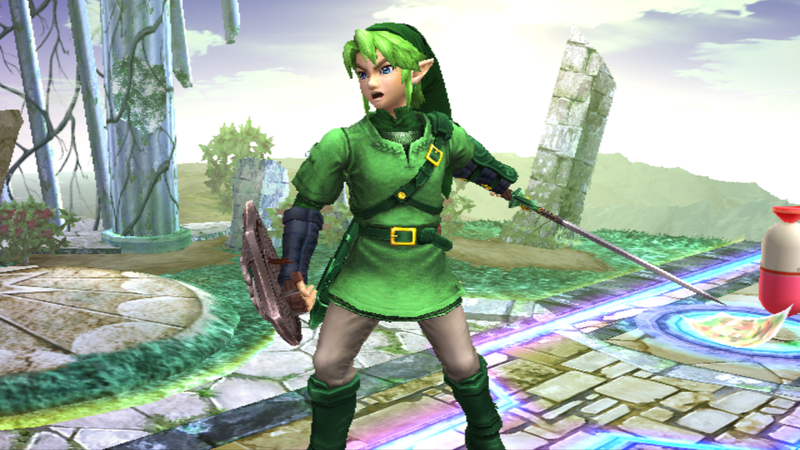 I wanted to help make Hyrule Warriors TP Link look less \"muddy\" as his textures looked super blurry. 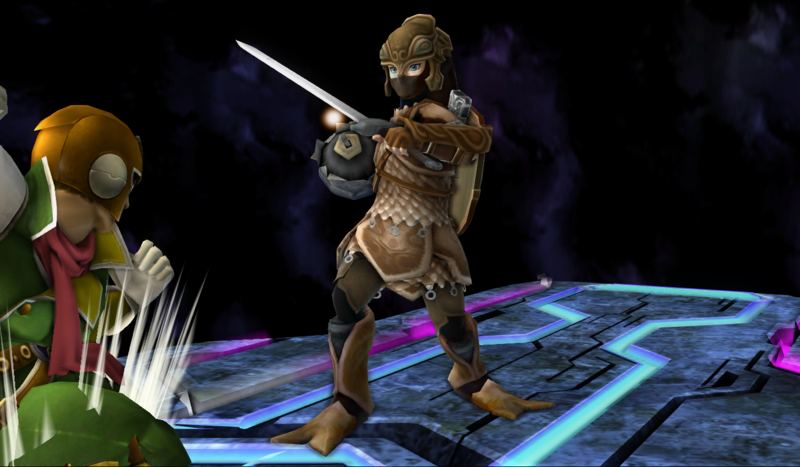 At long last, Link can use the Fierce Deity Mask... in style! 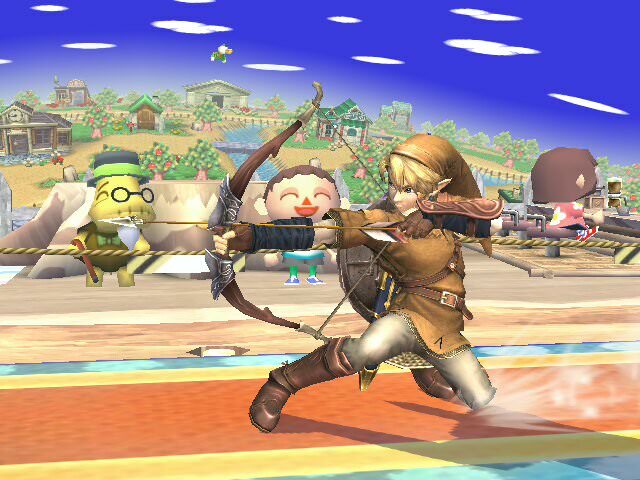 Fierce Deity comes with a full set of recolors, as well as an extra costume featuring the Hero of Time clad in Fierce Deity's armor. 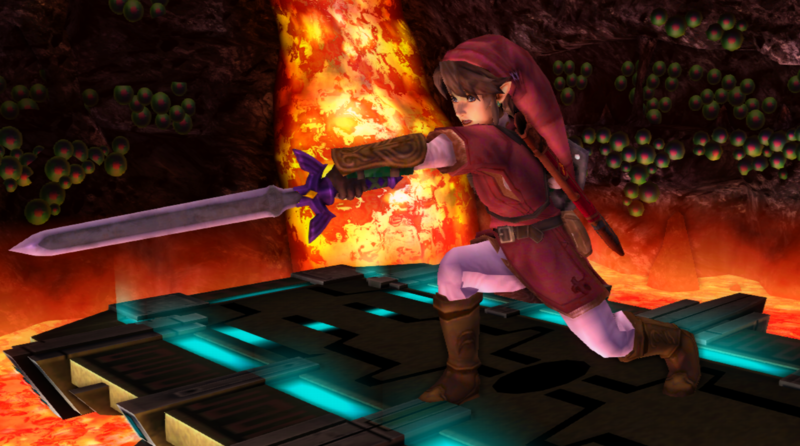 Fierce Deity has two swords to choose from: His iconic Helix Sword, or the Gilded Sword. 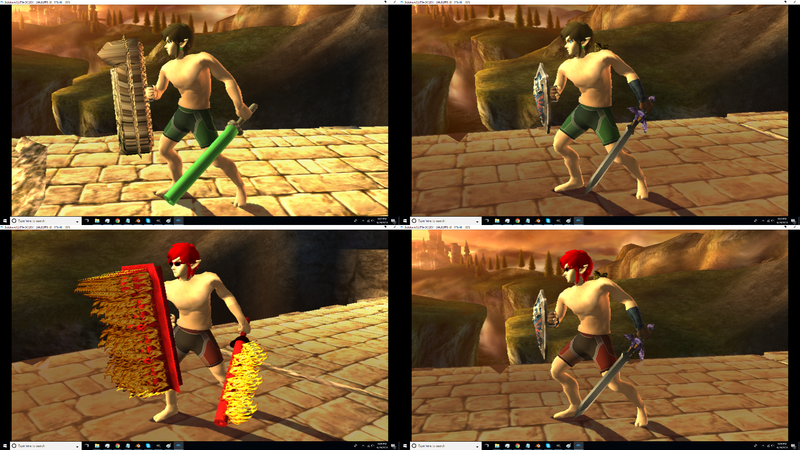 Also included are sword glows fitted to these two new swords, as well as an edited sword trail well suited to use with the Helix Sword. 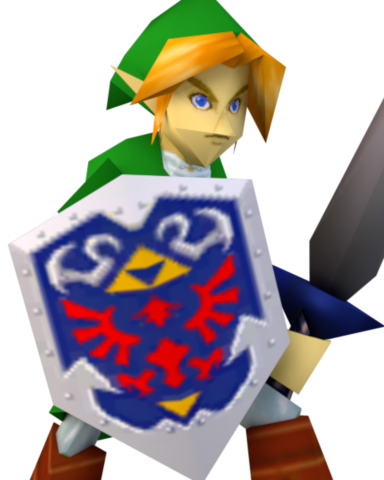 The Hero's Shield model was modeled and textured by Skilarbabcock. Mine and KorytheMarils CBM Halloween contest submission. 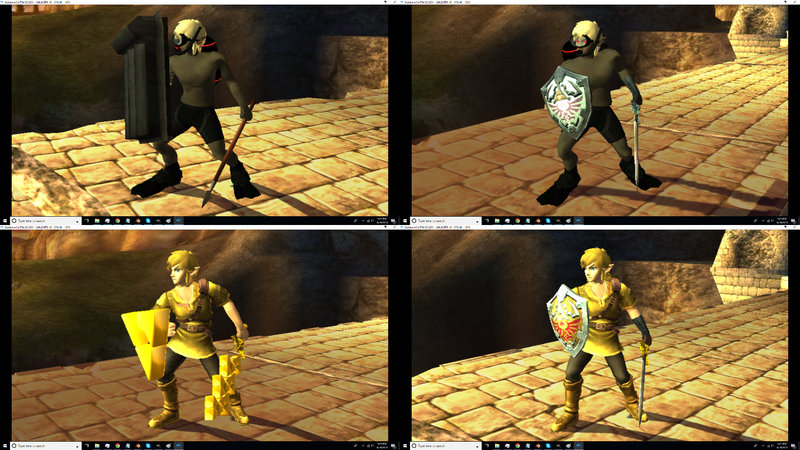 Using my Soul Edge import, the Garo mask was added and the rest of Link was recolored. Comes with CSProject cosmetics. 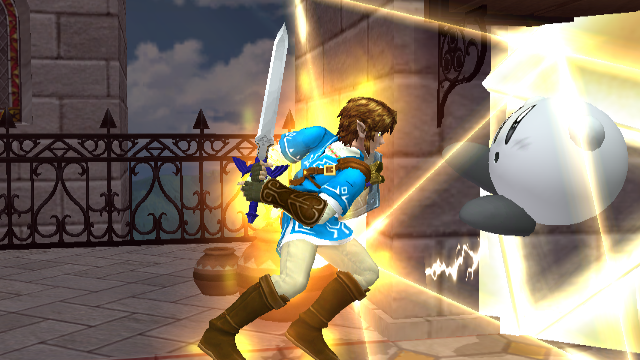 I got bored and made this and think it actually looks pretty good. I got bored and made some cosmetics. click on the broken preview for the full list of cosmetics and a preview of the HD BP. oh yeah, comes with HD stuff as well. This also comes with CSP, Stock icon, and Battle Portrait! 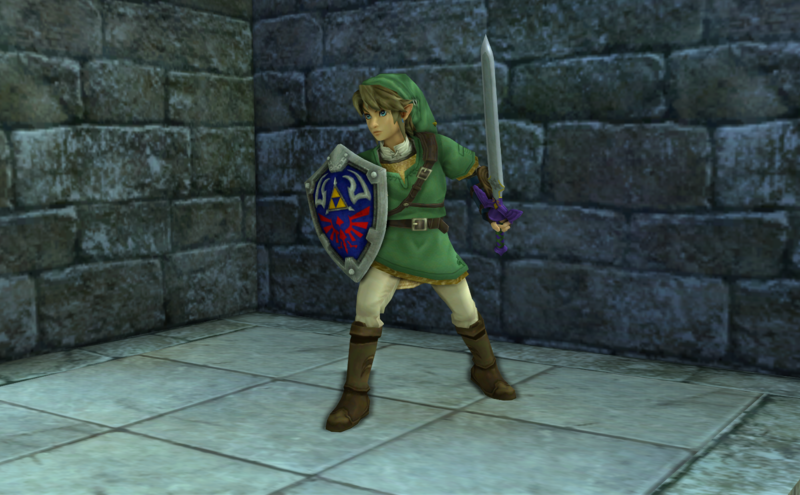 Simple model/texture replacer for Link with the default Link color from N64. 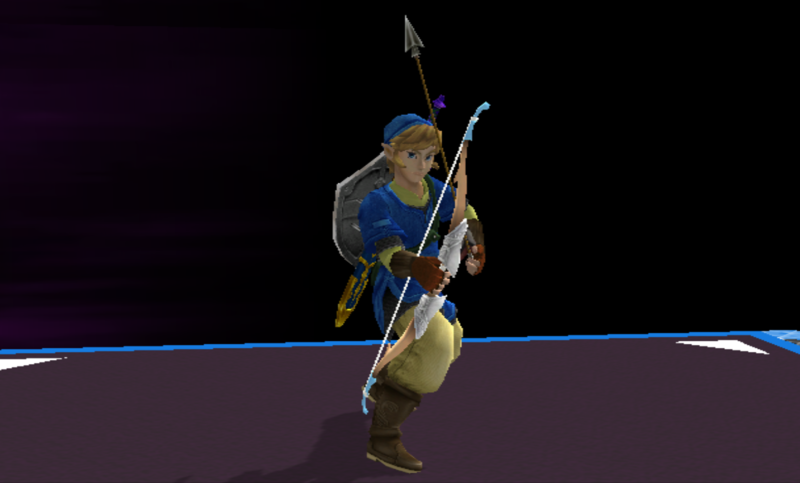 Breath of the Wild Link + Recolours and Cosmetics by KingOfTheFools with credit to shyguybuddy11 for the original BotW Link mod. 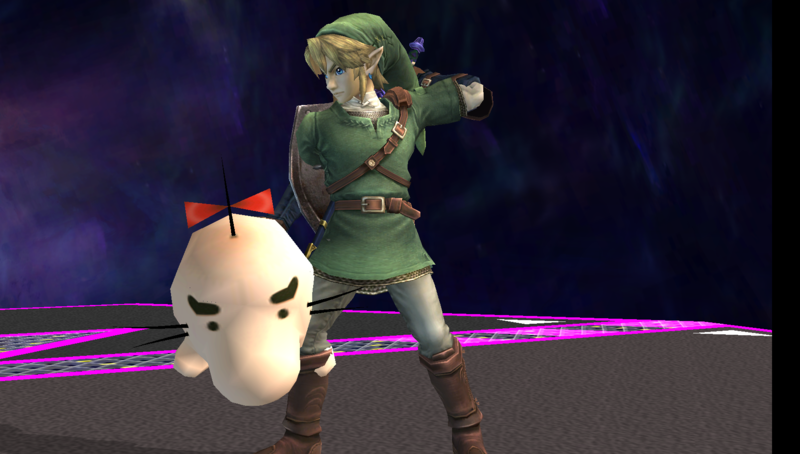 This is an edit of Shyguybuddy11's original mod with textures to better fit Brawl's style. If you want to make a PSA of this, remember to credit me. 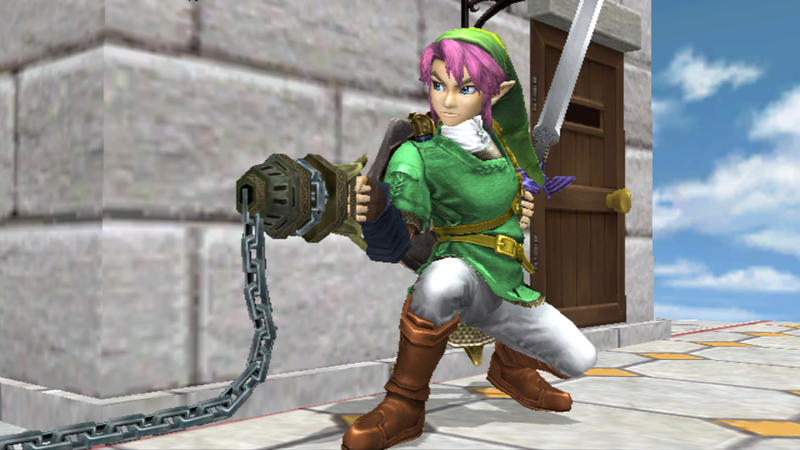 here is Kitsu's Dark Link made into normal Link, i first wondered how it would look and it looks great as Link. 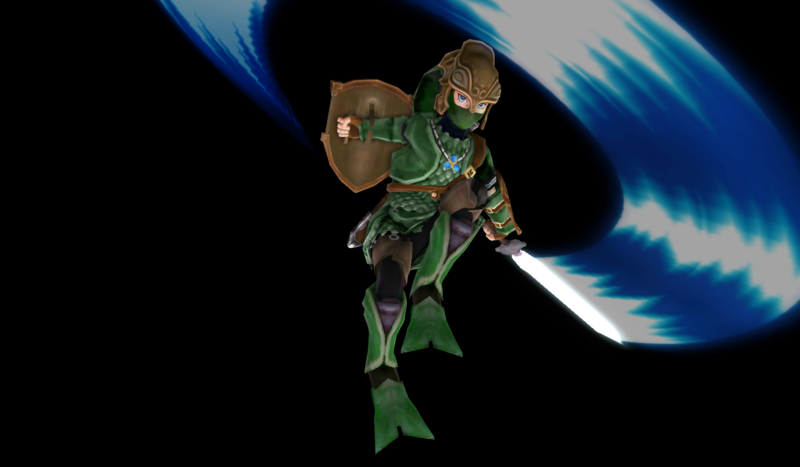 I saw the Smash 3 Zora Link and figured it could use some retexturing so it could be a proper alt. 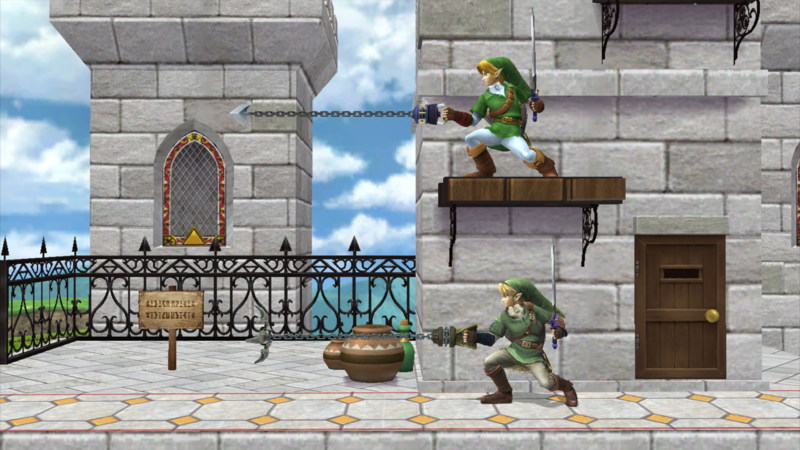 Finally, Link's Soul Calibur II weapons on PM OOT Link. I was originally only going to do the Soul Edge, but all of them looked cool so I decided to do all of them. 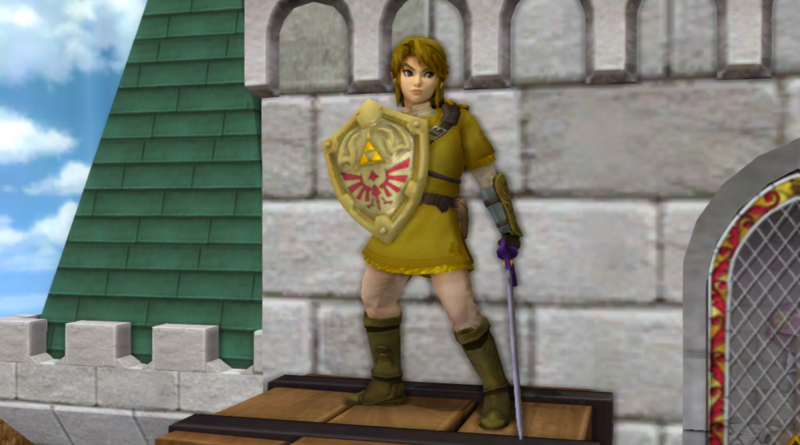 Comes with 9 different costumes, with one of those being for the Biggoron Sword or OOT Link PSA. Also comes with SD and HD cosmetics. 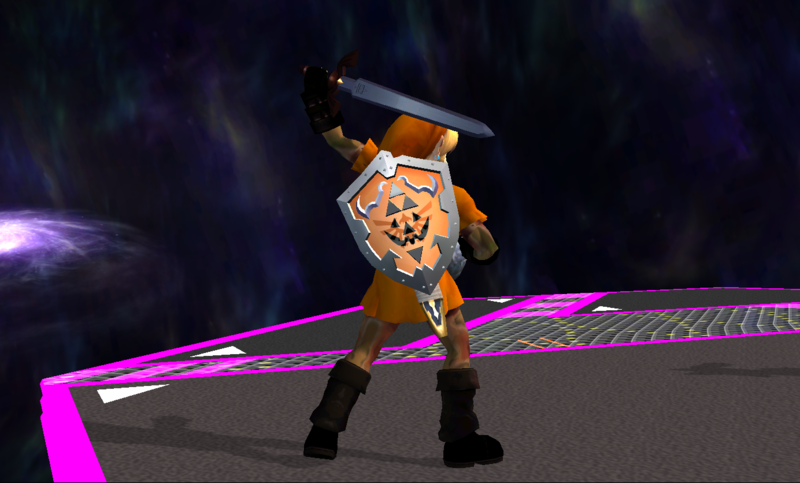 so I looked at the Brawl Minus Skyward Sword Link model, and said to myself "not good enough"
so I touched it up and gave it a few more alts. Page created in 0.713 seconds with 136 queries.